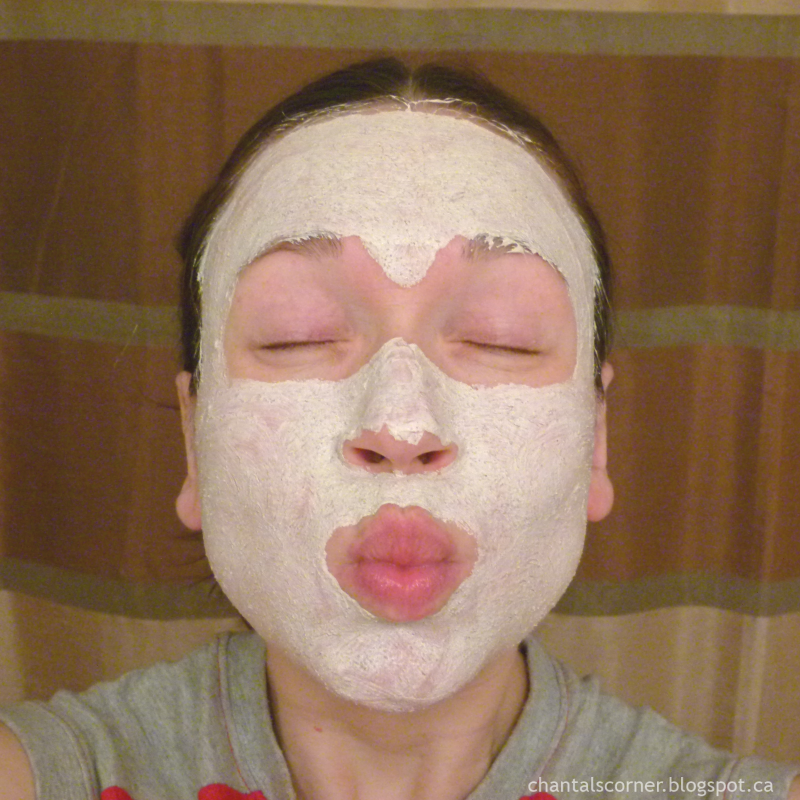 Welcome to week 4 of the Canadian Beauty Bloggers’ Montagne Jeunesse Mask Challenge! 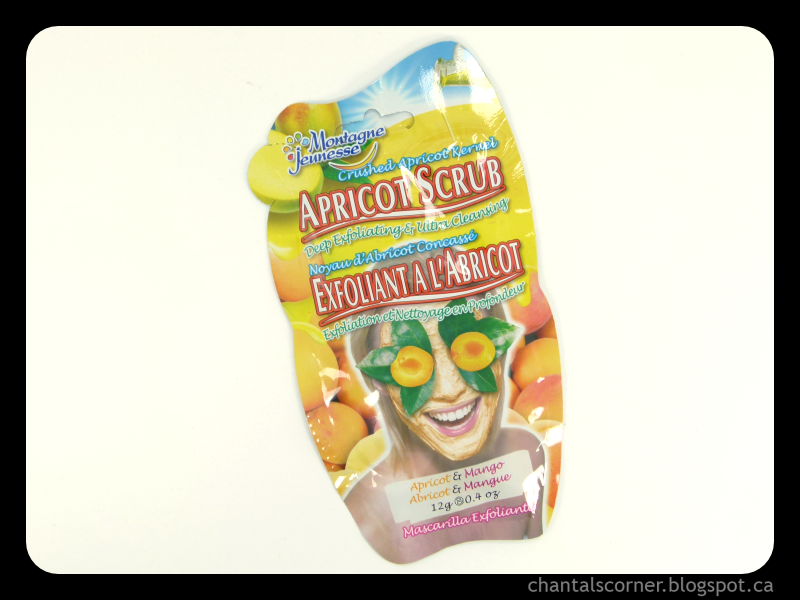 This week’s theme is scrub mask and I have the Apricot Scrub Masque to share with you. Exfoliate with our Apricot Scrub as part of your beauty regime for a radiant, glowing complexion. Bursting with sweet mango this rich facial scrub deep cleanses & revitalises. Crushed Apricot Kernels removes dead skin cells whilst Aloe Vera softens & soothes leaving skin super soft. Tired, dull looking skin will be radically transformed to smooth, bright looking healthier skin. This mask smells fruity, like mangos. It was nice. 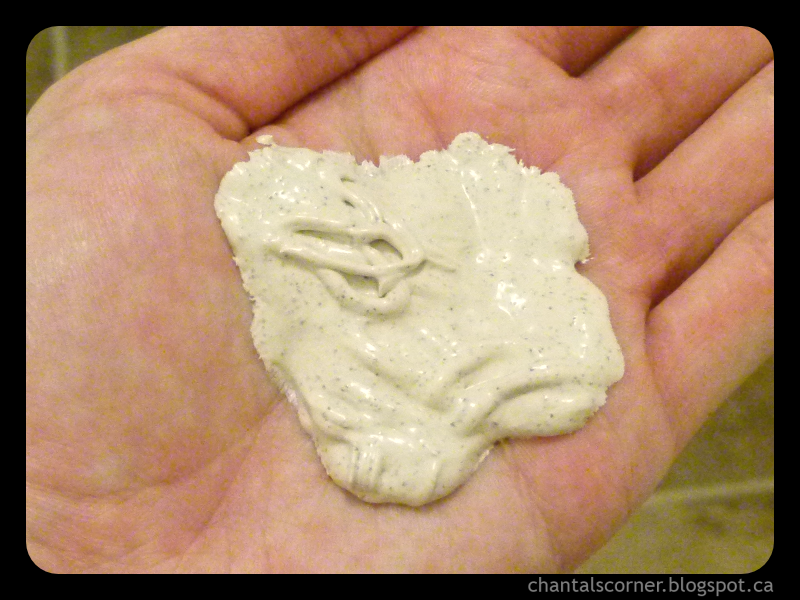 This mask has a nice creamy texture that makes it easy to apply. You can also see the crushed apricot kernels in it. When you apply this mask you’re supposed to massage your skin with it, giving it a nice scrub. Know your skin and make sure you apply the appropriate pressure otherwise if you massage too hard you’ll irritate your skin. I went around gently and it felt great. This mask felt nice. It will dry up a bit because it does have kaolin clay in it, but since it’s only meant to be on for 5-10 minutes it won’t dry as much as a mud mask. If you don’t like the drying feeling simply remove it after 5 minutes and you’re good. This mask was fairly easy to rinse off; I found it was like rinsing off a face scrub. It left my face really smooth, but it was a wee bit dry. However, there were no dry flaky bits left on my face since the scrub took care of those. I was in need of a scrub when I tried this mask because I was having some flakiness going on on my face, so this was good timing. I quite enjoyed it too. Application and removal were easy, and my skin felt really smooth afterwards. It was a bit dry, but once I finished my face care routine all was back to normal. This mask is available on the FarleyCo web site for $1.99 CAD, and they also list the retailers that carry it. Have you tried a scrub mask before?